Saving the world from the plans of Super Villains isn't easy, Especially when you have to rush home right afterward to study for a big test in Heronomics, but that's just a day in the life of a student at Super Hero High! Fortunately, your classmates know exactly what you're going through as every student here is trying to figure out how to be A Super Hero, and a Super Friend. 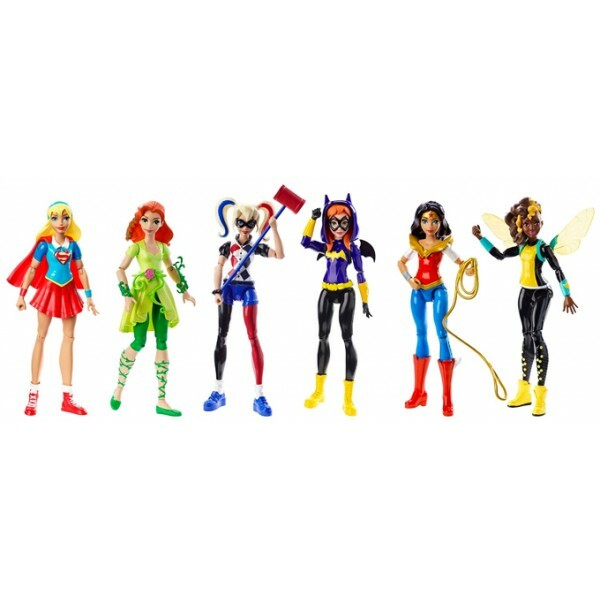 This set includes articulated 6" action figures of Bumblebee, Batgirl, Supergirl, Wonder Woman, Poison Ivy, and Harley Quinn.